Almond butter is a fantastic source of protein, as well as monounsaturated fats (AKA, a “good” fat), yet contains less saturated fat than peanut butter. For those who are allergic to peanuts, almond butter is also a near perfect ingredient swap for traditional PB. In a green smoothie, almond butter acts as a natural sweetener and thickener. 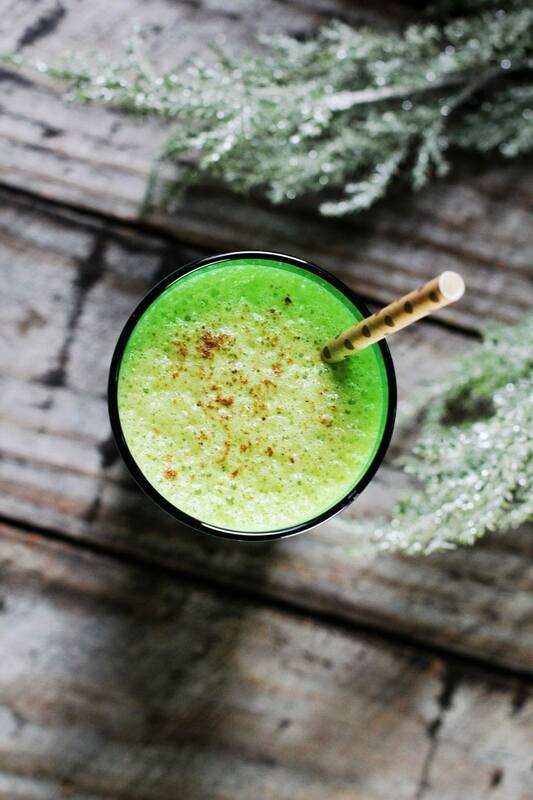 With a banana added in, and anti-inflammatory spices like cinnamon and nutmeg, this is an optimal green smoothie to sip on post-workout, or any time you need a burst of energy! Have you tried making a green smoothie before?